There’s a new little (re)treat in the heart of Cape Town’s CBD. 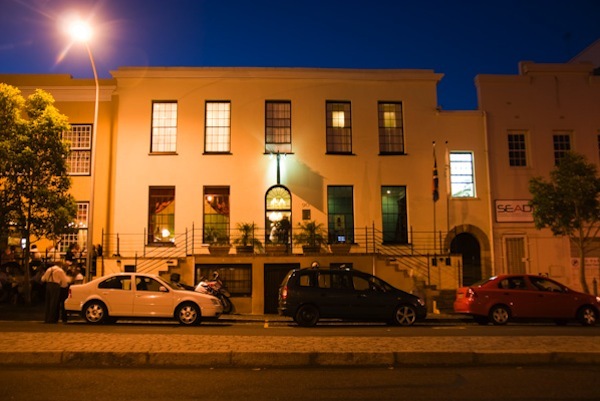 The Little Heritage Spa is a new arrival at the Cape Heritage Hotel. Nestled in what used to be a bar and store room for restaurant, The Little heritage Spa offers many a treat for your feet. 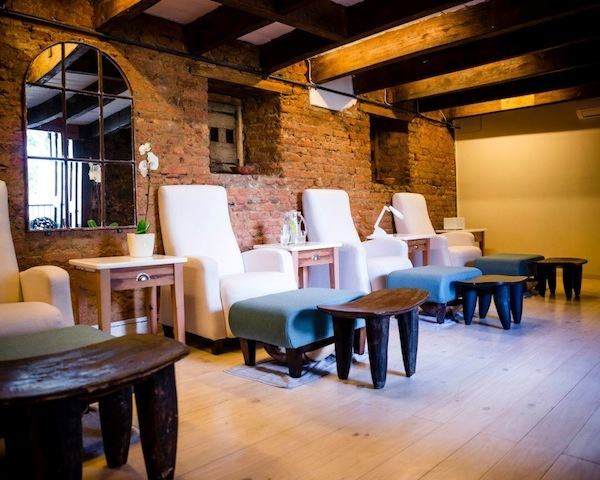 Designed around the concept of a hand and foot lounge, the spa offers a staggering 22 different treatments for your hands and feet. 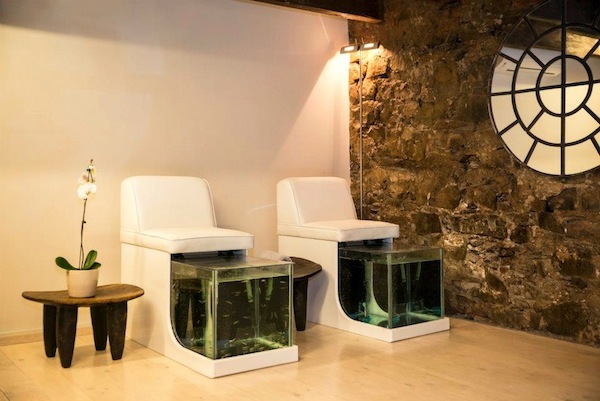 Including the amazing Garrarufa fish therapy. Medi-Heel, Moya, Gelish and Essie are all resident ranges, so you’re sure to be in good hands. See the little fish in the tanks? They eat dead skin. Yum. They also offer usual ‘trimmings’ of waxing and the like as well as massages. The package deals are fantastic options: Spa Manicure and Pedicure Combo, R450 for 2 hours; Pamper Treat – fish therapy for feet with an express manicure and pedicure, R400 for 90 minutes; Mommy and Me – fish therapy with an express pedicure and Princess pedicure for your little one, R490 for 1 hour; Grooming Gap – an express pedicure with a shape and polish on the hands, R270 for 60 minutes; and finally, the Hand, Foot and Scalp Reviver – fish therapy for the feet, a foot and hand massage with mask application, followed by a scalp massage or treatment, R260 for 60 minutes. If this sounds like a place you want to hangout at you’ll find them at 100 Shortmarket Street, Cape Town. Or call 021 424 4646 for more info. Please could you forward me a list of your Dr Fish Spa packages? We are approximately 10 ladies who would like to book. Is there other places where fish therapy can be done? Where do you live? And I’ll try and find out for you. Could Curtis and I come for a fish spa session, sometime tomorrow, Friday 27th July? I just reviewed the spa, I don’t work for them. Also, I think The Little Heritage Spa has closed down, sorry.